While HSBC (advertising campaign featured on the right) tells us ‘In the future, even the smallest business will be multinational’, local currencies and the communities that use them are deliberately bucking the trend. 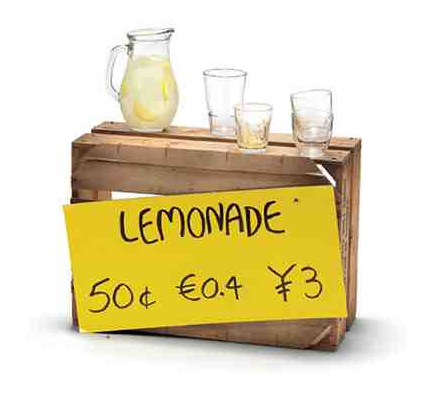 The idea of the local currency is that it can only be spent in local businesses, signalling a commitment to buy locally by the customer, the business and the supplier. The local currency concept is not new, in fact the WIR bank in Switzerland has been operating since 1934 as a way of providing Swiss businesses with credit and stability, using each other to increase sales and buying power. Annual sales in WIR Francs are now worth billions of pounds a year. While not of the same scale, local currencies in the US and Europe are continuing to emerge with the belief that social, environmental and economic benefits will ensue. Who has a local currency? Prien am Chiemsee ‘Chiemgauer’, Bavaria, Germany ‘Chiemgauer’ 2003 begun by an economics teacher and his students, it is growing at 100% per year – expires every three months to encourage circulation. This is not an exhaustive list, there are many more examples from across the world and throughout history! Last week I was at an event where the digital currency bitcoins, was discussed. Bitcoins have a transaction log and are controlled by the bitcoin community. It is seeing advantages for particular purposes emerge, such as having evidence of a patent transaction for use if challenged in court. Someone in the audience lamented that electronic payments have removed the social aspect of financial transactions, with some pensioners really missing the physical collection of their pension cheque. Buying locally embraces social, environmental and economic goals in unison. 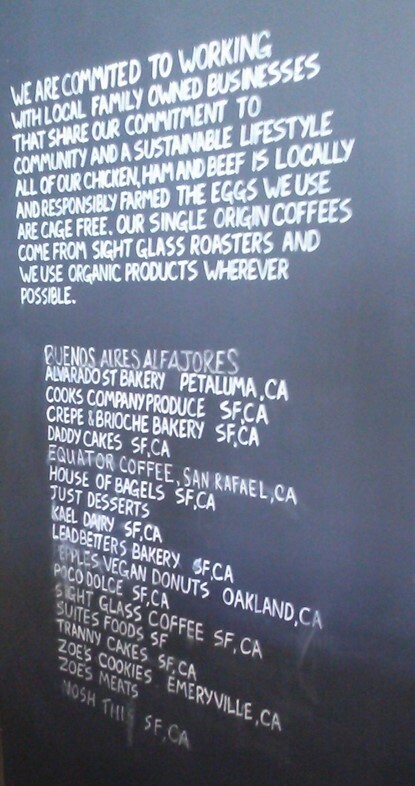 This photo (taken by planwise founder Vincent Turner) from San Francisco shows what has become common in cafés there – a proud list of local suppliers on the wall. These suppliers are not only local but committed to their community and sustainable practices. books on local currencies e.g. Local Money: how to make it happen in your community by Peter North and Rethinking Money: how new currencies turn scarcity into prosperity by Jacqui Dunne and Bernard Lietaer. a suggestion that local currency could help Detroit get back on it’s feet! Perhaps in the future all business won’t be multinational. Perhaps in the future we will see a strengthening of this emerging trend to reconnect finance to people and communities. Hi Emma, thanks for this nice, easy-to-read summary of current developments. May I suggest you add our two books to your reading list at the bottom?